Annabel Karmel is a mom of three kids and written 17 books on baby and toddler nutrition. She is also a best selling author in the UK. her books feature recipes that are easy to make giving you less time in the kitchen and give you healthier and tasty options for your kids and your whole family. I was given the opportunity to work on a review and was sent a copy of Annabel Karmel’s Top 100 Finger Foods: 100 Recipes for a Healthy, Happy Child for our use and review. Top 100 Finger Foods is geared towards toddlers and preschoolers and also for your whole family to enjoy these recipes. This book is a great follow up from her bestselling Top 100 Baby Purees. Our littlest guy is going to be nine months old in a couple weeks and we are starting introduce him to some finger foods especially now since he has quite a few teeth. The recipes found in Top 100 Finger Foods are healthy choices and easy to make and prepare and are great for little hands and mouths that are starting to learn to eat finger foods and at the same time, just as good for the whole family! There are seven categories in Top 100 Finger Foods which include Breakfast Bites, Versatile Veggies, Fun Fish, Finger-Licking Chicken, Meaty Mouthfuls, Simply Snacks, and Sweet Treats. All the recipes give a wide array of different textures for little ones to learn and experience. This also teaches them how to chew their food in different ways. I think this is a great thing right from the beginning. This book give parents many different options when you just really don’t know what to give your kids. I think if we had given our nine year old daughter a huge variety of different foods with different textures right from the start, I think her pickiness might not be as bad as it is today. Our four year old son is a little picky but not anywhere close to how picky is big sister is. After receiving this book and trying out some of the recipes, I have came to the conclusion that with our little man, we are going to give him as many options as possible. I never knew there were so many great recipes for toddlers until my family received this book! These are also great recipes for getting fruits and veggies into your child’s diet. How can you say no to sweet corn pancakes or carrot and cheese muffins? My kids love these ones and our little guy has even tried small pieces of them himself! I like when my older kids can get involved with making their own food too. This is another thing that Annabel Karmel believes in and I agree with her. I think it’s a great thing for kids to learn how to do and gets them more involved and they continue to learn in the kitchen. My kids love making Salad Lollipops! I cut up the fruit, veggies and cheese myself and let them put there own on their skewers. They have a lot of fun doing it and they love eating them. They make for a better and healthier snack and since they get to make them, it makes them want to eat it even more! Top 100 Finger Foods is a great book filled with kid and toddler friendly recipes that even my kids enjoy and they are pretty picky. These recipes also make eating a lot more fun. I can get them eating things they should eat inclding making smiling faces from veggies! If you have little ones learning to eat, toddlers and older kids that are picky, need quick and easy recipes that are healthy for your kids and family, then this is the book for you! I think it’s also great to have my kids help in the kitchen. It’s a great family activity and it’s fun too! 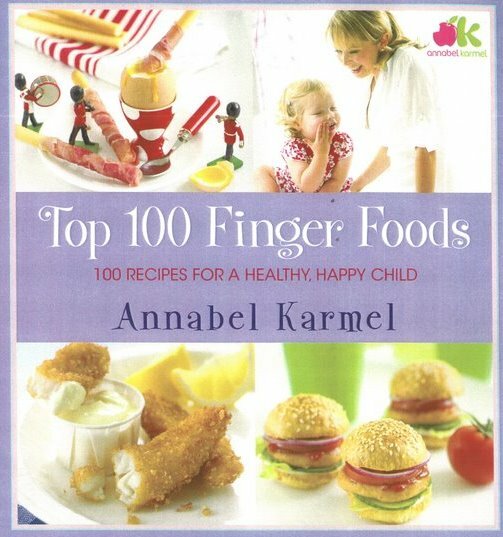 Buy It: You can buy Top 100 Finger Foods: 100 Recipes for a Healthy, Happy Child by visiting annabelkarmel.com. The list price for this book is $18 but you can get it for around $12 on amazon.com. Annabel Karmel’s website is powered by amazon. Win It! Do you want to win a copy of this amazing book? I was sent and extra copy to giveaway to one of my lucky readers! *Enter any of my other current giveaways (1 entry for each one) Let me know which ones that you entered in a separate comment. Limit 3 entries per this method although I encourage you to enter them all! Giveaway is open to US. Giveaway will end June 21 @ 11:59 PM (EST). 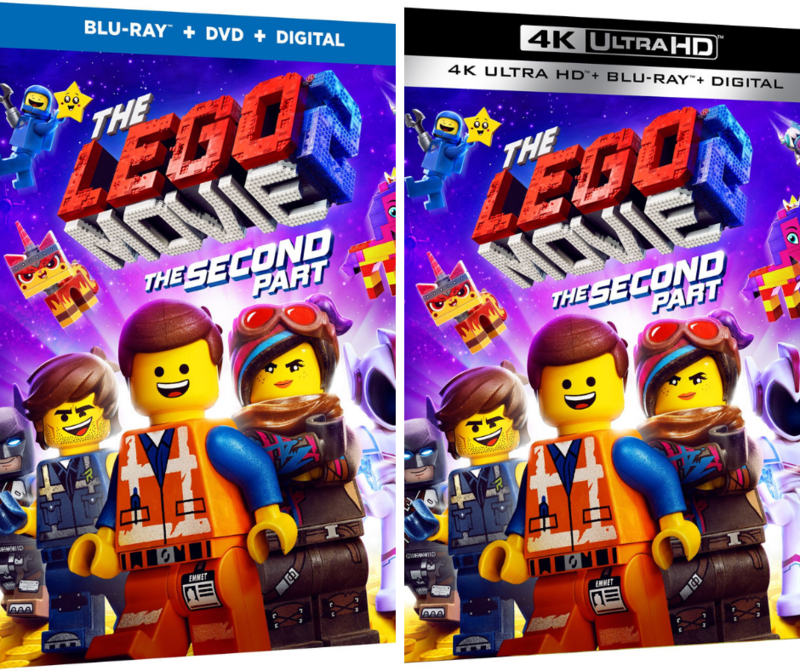 Winner will be chosen using random.org. Winner will have 48 hours to respond after I contact via email. If winner does not respond, a new winner will be chosen. Good Luck! Our Trip to The Zoo and Lots of Pictures! I entered the Big Rigs giveaway! I would like the fussy eaters book. I would love to have the you can cook kids cookbook . I"m entered in your barefood books giveaway! 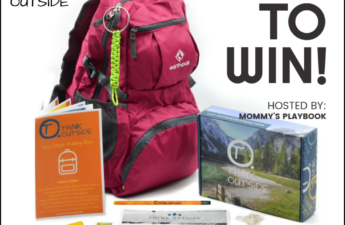 I"m entered in your gourmet gift basket giveaway! I"d be interested in top 100 baby purees! I follow Annabel on FB! I follow Annabell on twitter! I like the Make It Easy Food Cube Tray (3×5)! I follow anabel on twitter. I friended Annabel Karmel on Facebook! I'd like to try the Top 100 Pasta dishes cookbook…yum! I would love to try the fussy eater's recipe book. I entered your Cosmetique Cosmetics Giveaway. I entered your Barefoot Books Giveaway. I entered your GourmetGiftBaskets Gardening Basket Giveaway. I follow Annabel Karmel on Twitter. I'd like to try the family meal planner too.